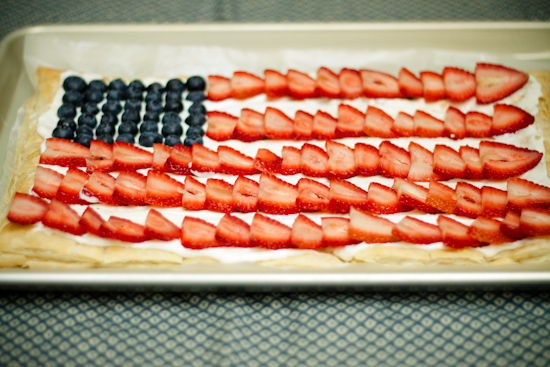 The 4th of July is one of my favorite holidays! As a kid I remember saving up my allowance so I could buy all of my favorite fireworks for our BIG family show. I say "BIG" because we celebrated the holiday with all of my extended family which included around 20 cousins who would bring their own fireworks as well. We would spend hours letting each kid light off their fair share of fireworks before the adults stepped in with the big guns! It's always fun to do something patriotic for your Independence day meal plan...and this flag pastry would be a great crowd pleaser. 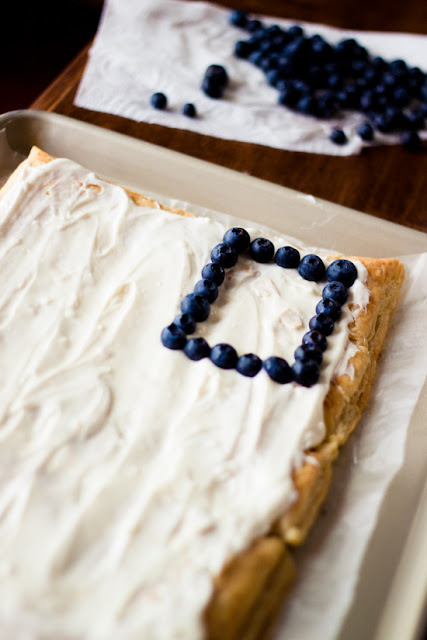 My Aunt usually puts together a similar dessert only she uses a white cake instead of Puff Pastry, which is a perfectly acceptable alternative! Just as a side note...my all-time favorite firework is the "Friendship Pagoda" I love how it pops up at the end and all the little windows light up. Every year I would keep my Pagoda and put it on display in my room, until the next 4th rolled around of course! 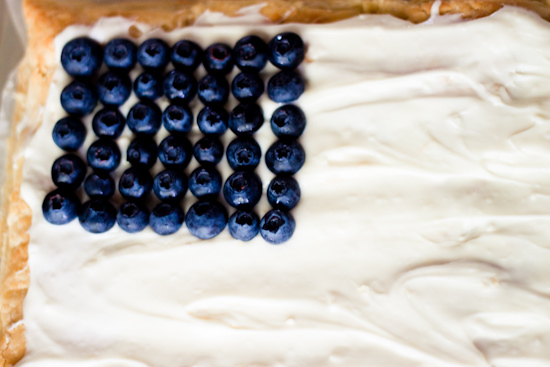 Do you have a favorite firework or 4th of July Family tradition? 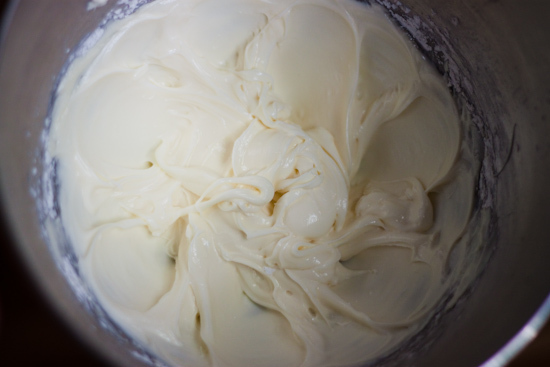 1/4 cup sour cream thawed to room temp. Step 1. 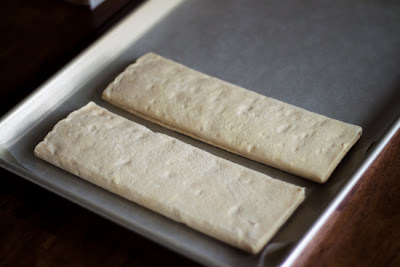 Line a baking sheet with parchment/wax paper. Take out the pastry and let the two sections thaw out for about 20-30 min. Turn the oven to 400 degrees F.
Step 2. 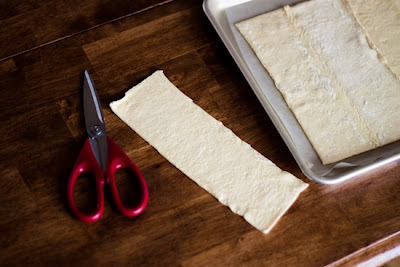 Once the pastry has thawed, unfold it and cut away 1 of the rectangular pieces from the end of 1 pastry section. Step 3. 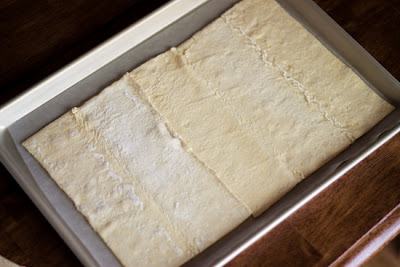 Press the remaining pastry pieces together so they form 1 long rectangle. Step 4. Poke the pastry all over with a fork for ventilation. Step 5. Bake on 400 degrees F. for about 15 min. 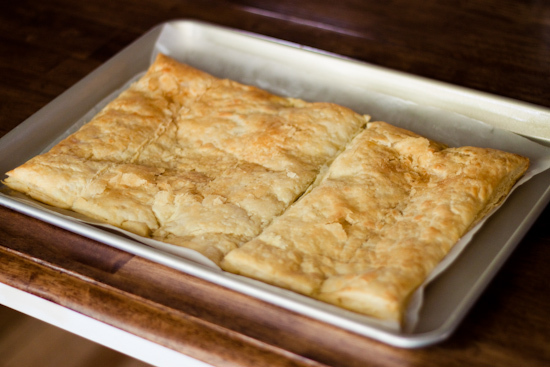 or until the top is golden and flaky. Step 6. While the pastry is baking, place the cream cheese and sour cream in a mixing bowl and blend together. Step 7. 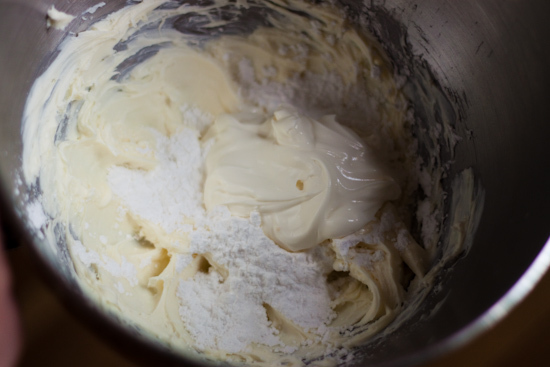 Add the powdered sugar (and optional 1/2 tsp. 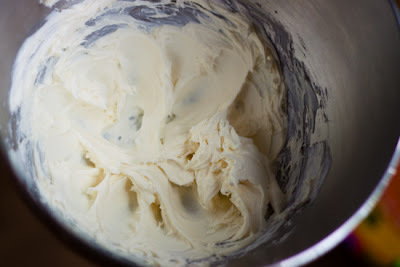 vanilla) and mix until well blended. Set aside. Step 8. When the pastry has cooled completely, frost the top with your cream cheese topping. 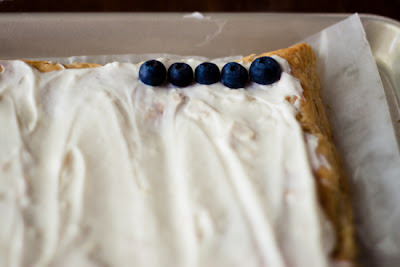 It's ok if the flaky crust gets into the topping, you will never notice once the berries are on...but here is a helpful tip... pile on the frosting to start then remove any excess needed. 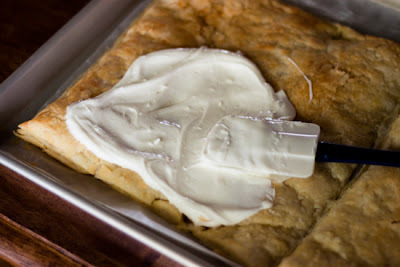 (the less frosting there is to work with, the crummier the pastry will get as you smooth the frosting out). Step 9. Using the blueberries, create a rectangular shape in the left hand corner of the pastry. 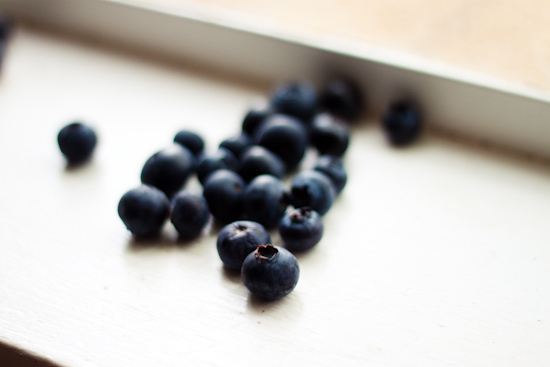 My rectangle is 5 berried wide and 7 berries long. Step 10. 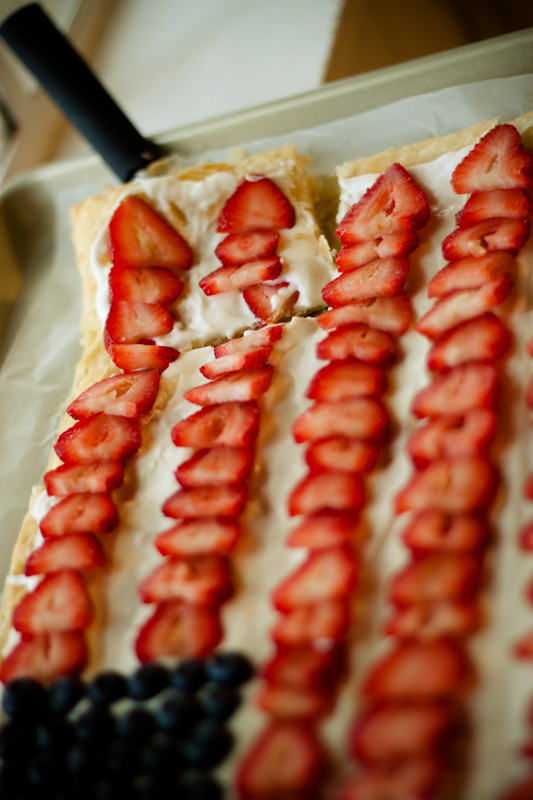 Take your strawberry slivers and line them up with the points facing to the right. 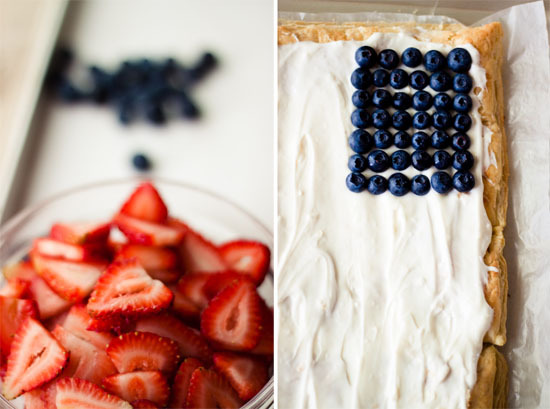 Slightly layer the berries to give a more line-like appearance. Step 11. 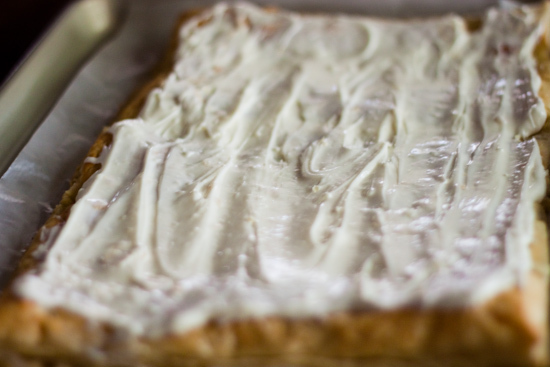 Continue the stripe pattern all the way down the pastry. 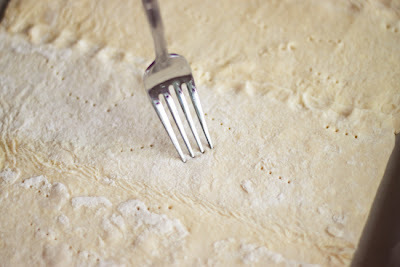 Step 12. 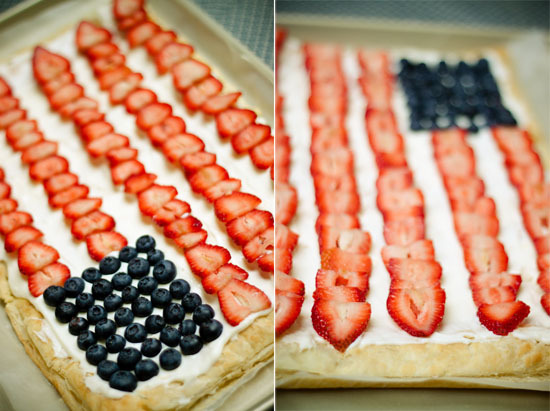 I recommend waiting to cut the pastry until you are ready to serve it, then all of your guests can enjoy your lovely patriotic piece of art! This is so neat! 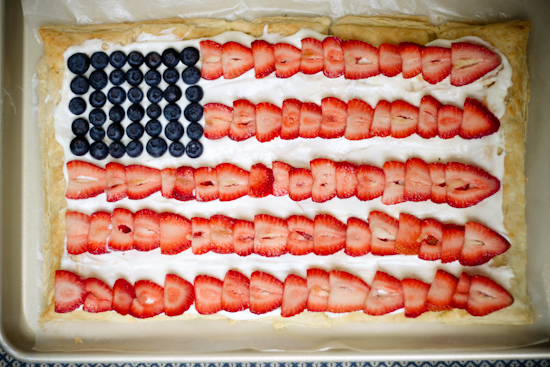 I've been looking for something patriotic to make for the 4th and this looks simple but delicious. Thanks! This looks so good! 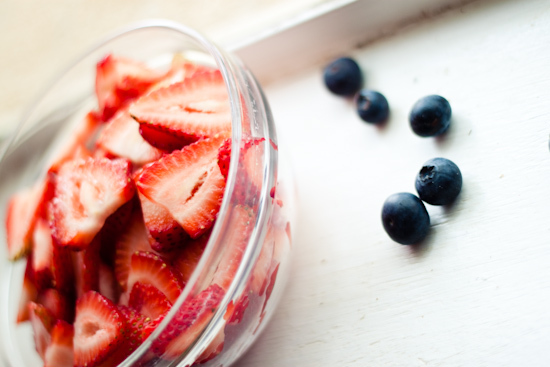 I think blueberries and strawberries are some of the prettiest fruit! 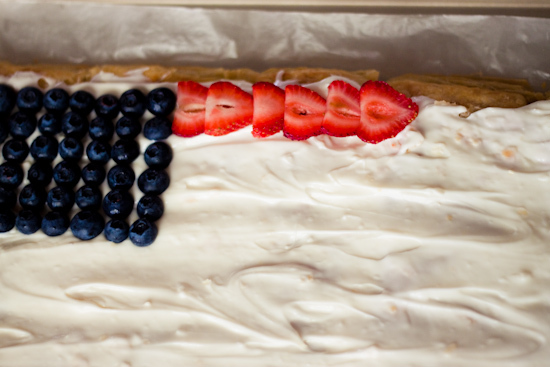 I remember being little and seeing a similar cake for the first time one 4th of July. I was so impressed! 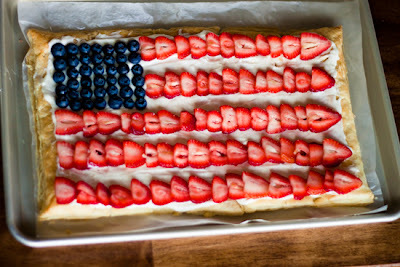 This looks delicious.....actully I am making this today for Flag Day.....going to Krogers NOW!!! Looks like I might just have to make this for my 4th of July 60th birthday! YUMMO! 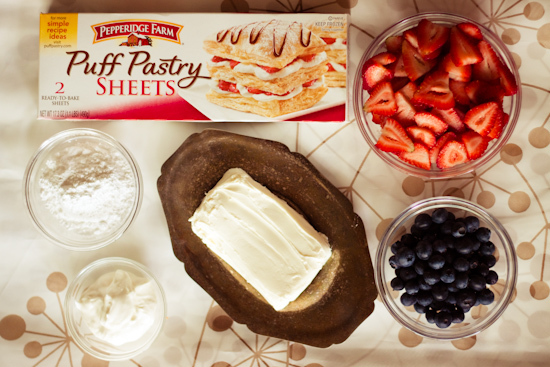 Looks great, do you ever have a 'printable version' of your recipes? 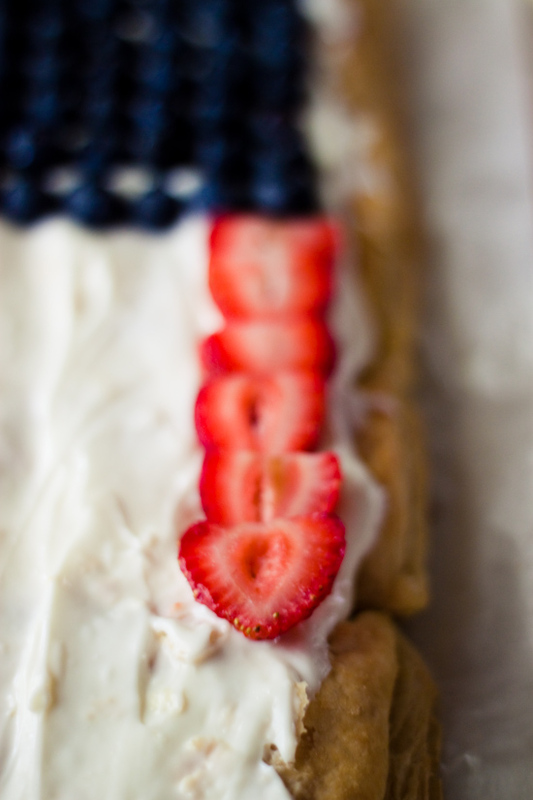 Looks wonderful but frankly it was very painful to copy the directions with all the photos in between every line. I would recommend putting all the directons together.